Thank you for choosing Barrhaven Bright Smile Dental and welcome to our dental family. Your first visit starts with a phone call to our office. We will help you to find an appointment at a convenient time for you. We hope that you will feel comfortable as soon as you step into our office. 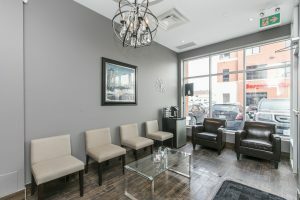 Enjoy our waiting room, while you fill out your medical exam form. For your convenience, you can have your first cleaning done during your first appointment. Let us know if you would like to have your first dental hygiene appointment in your first appointment, so that we can schedule it. The dentist will review your medical and dental history with you, and do an extra oral and intro oral exam which includes oral cancer screening. Appropriate x-rays will be taken and your periodontal health will be evaluated as well. After the complete examination, we will present all the treatment options to keep your smile healthy, functional, and beautiful. We will answer all your questions and concerns. Together we will determine a plan for your treatment.